The Bradnor Log Cabin from Forest is a compact cabin, ideal for those that have limited garden space. The small roof overhang makes a lovely addition to the structure and prevents rainwater running straight down into the doorway. The doors are single glazed, with 8 panels of glass fitted into each for excellent light transmission into the cabin. 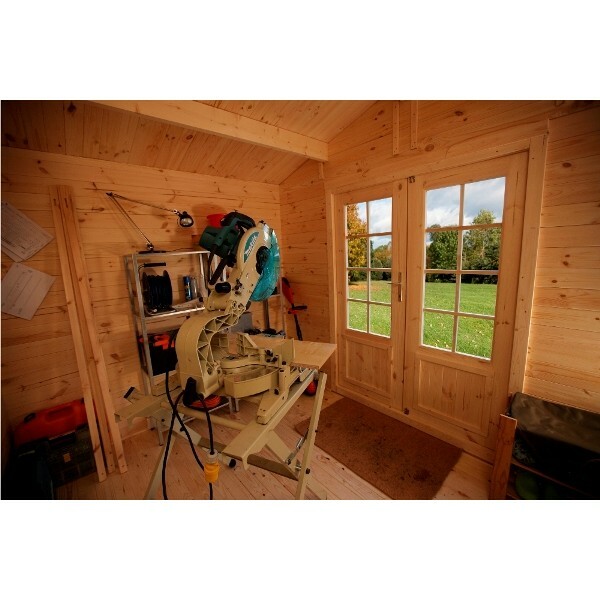 Secured with a mortise locking system to prevent unwanted access into your retreat. Crafted from strong, kiln dried 28mm machined timber logs the thick wall cladding is highly durable and the attractive corner notches help to add to the authentic log cabin feel! To increase stability, 19mm tongue and groove boards have been used to construct both the floor and roof leaving you with a top quality finish on the inside. The apex roof is topped with underfelt and felt shingles to keep out the elements and protect the wood beneath. All of the floor bearers supplied are pressure treated to prevent rot and maximise the longevity of the wood. Please Note: All timber is supplied untreated (except the floor bearers) and must be treated with a solvent-base preservative after assembly. 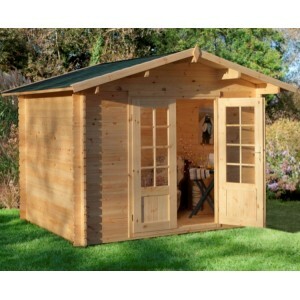 If you don't have the requisite DIY skills a professional home assembly service is available for this log cabin. This nationwide* service is conducted by the skilled Forest installation team at an agreed time which is convenient for you. Please note that this service is assembly only and does not include laying bases or disassembling existing buildings. Please ensure you have a suitable base in place before ordering this service. 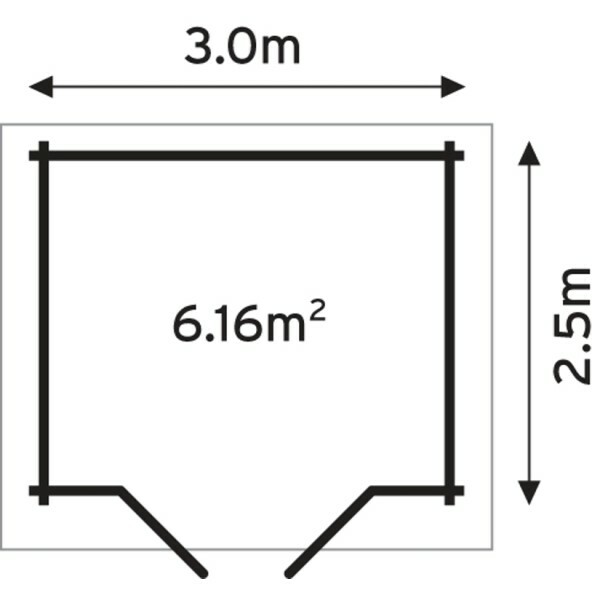 To ensure successful installation the base prepared must be strong and sturdy right up to the edges and capable of supporting 2-3 tonnes in weight. It is critical that the base does not run out of level by more than 10mm end to end, is square, and solid, with no possibility of slump or movement. If you have any further queries on base preparation please call our customer service team on 01543 889900 who will be happy to help. 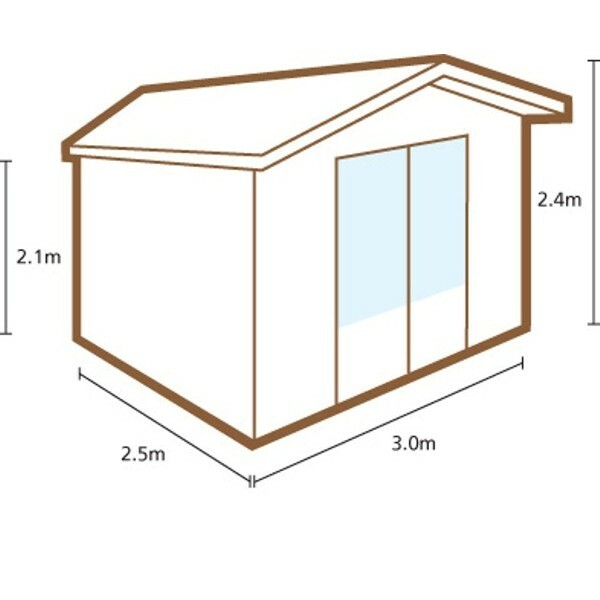 Each log cabin is delivered as a kerbside pallet drop using a crane off-load heavy good vehicle (HIAB). Goods will be delivered to the nearest access point to your property, adjacent to the roadway (depending upon restrictions). Under no circumstances will the driver lift over any trees, walls or fences. A non-returnable pallet and transit packaging will be left with the item on delivery to avoid damage or deterioration until you are able to construct your cabin. Please note that delivery is excluded to some areas*. Delivery Times: Up to 21 working days.